Over the last several years, as an independent, Winton Woods has endured the grinds of grueling schedules. Last season that perseverance broke through as the Warriors made it all the way to the Division II state title game where they fell to Akron Hoban. This fall will be no different as the program will face school’s that had a combined winning percentage of .609 (67-43) a year ago. 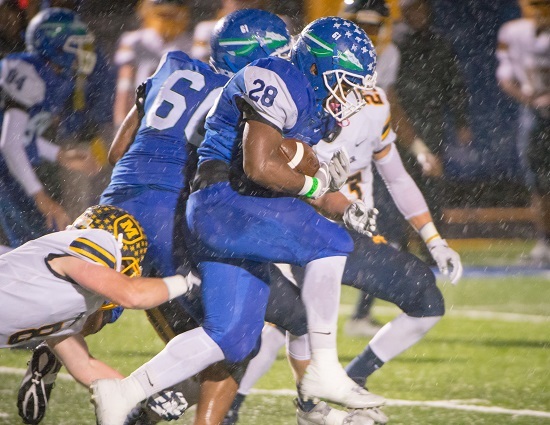 There will be five new foes, from the prior season, on the 2018 schedule for Winton Woods. They kickoff the campaign with one of those teams. The Warriors will host reigning Division III state champion, Trotwood-Madison. It will be the first meeting between the schools since the Rams beat Winton Woods in overtime, in the second round of the ‘12 Division II playoffs. Trotwood-Madison has won eight consecutive regional titles since falling to the Warriors in that same game in ’09. Winton Woods would go on to win their only state championship that season. Other fresh faces on the slate are Upper Arlington, Thurgood Marshall and a pair of tilts versus former Fort Ancient Valley Conference (FAVC) rivals Northwest and Edgewood. In Week 8, Winton Woods will look to avenge its only regular season loss in ’17 as they travel to Elder. The Warriors will also go on the road and play another Greater Catholic League South school, Moeller, in the finale. The one glaring omission from the slate is the absence of GCL South nemesis, La Salle. Winton Woods will have to take care of business early on as two of the last three contests are away from home versus GCL South schools. They get a huge opportunity in Week 1. It is to their advantage to play Trotwood-Madison early on. The Rams are 4-3 in their last seven openers. Trotwood-Madison has only lost nine regular season games in that span. Winning at least one of those signature affairs against Trotwood-Madison, Elder or Moeller will a long way in securing one of the coveted eight playoff spots in Region 8.